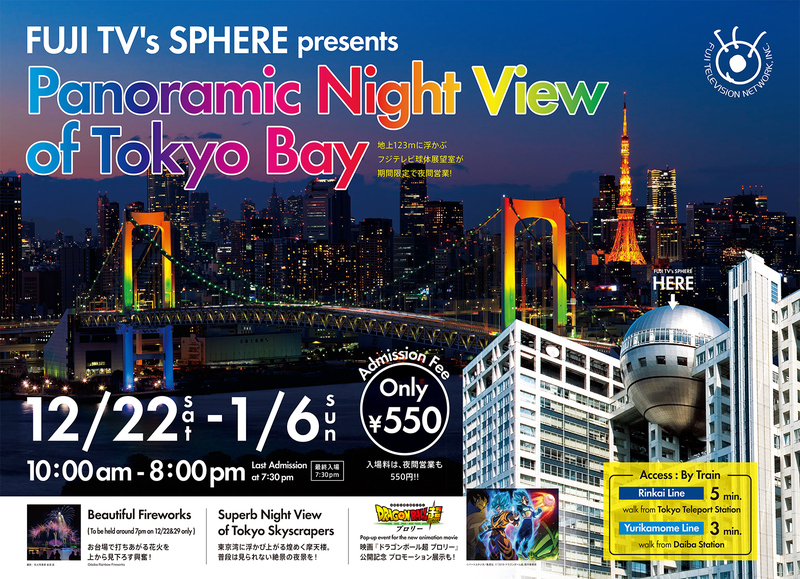 Fuji Television Network Inc is extending the opening hours of the “HACHITAMA” Spherical Observation Room with an additional two more hours at night. For a limited period, from Saturday, Dec 22 through to Sunday, Jan 6, 2019, it will be open every day from 10 a.m. until 8 p.m., giving visitors the opportunity to experience an expanded perspective of Odaiba’s beautiful night-time landscape. 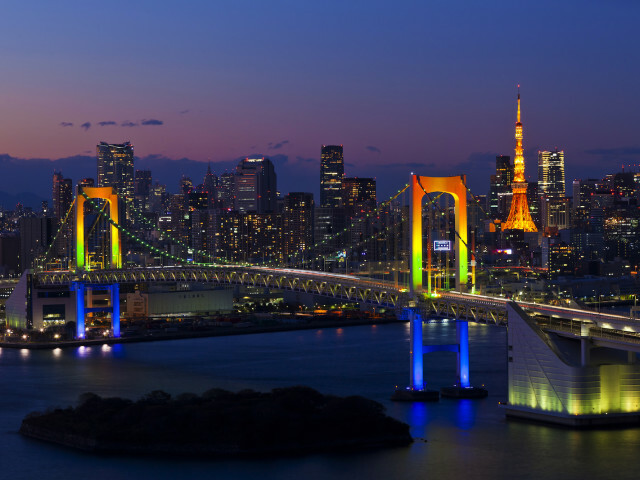 Offering a spectacular 270-degree panoramic view out over the Tokyo Bay area, the spacious 123-meter-high spherical observation deck commands a mesmerizing view of Rainbow Bridge, the Tokyo Tower, the Tokyo Skytree and even Mount Fuji on a fine day. Including visitors from all over Japan, it is going to be a wonderful occasion for guests from around the world to be amazed with one of Tokyo’s most breathtaking night entertainments. This will also make apparent many of the infinite possibilities of inbound marketing in Japan. ■ Launch site: Odaiba Seaside Park/Off the coast area of the "Statue of Liberty"